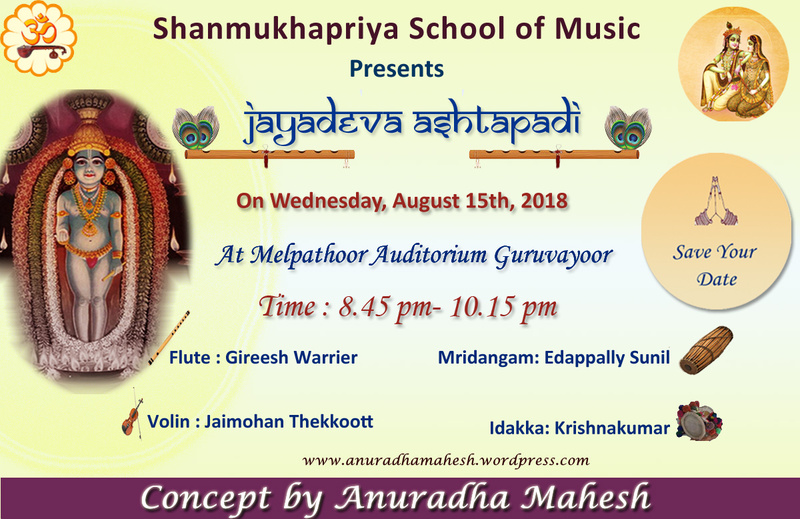 Shanmukhapriya School of Music presents Jayadevar Ashtapadi on 15th August 2018, Wednesday at Melpathoor Auditorium, Guruvayur. Your Esteemed Presence is Solicited. All are Welcome..